We’re not counting down months anymore, or weeks; we’re not even counting down days: no, now it’s only a matter of hours until the ceremonial Tapping of the Keg in Munich. 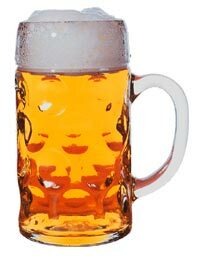 Yes, at 12:00 midday CET on Saturday 16th September, the Mayor of Munich will tap the first keg of golden Oktoberfest beer in Schottenhamel tent and – PROST!!! 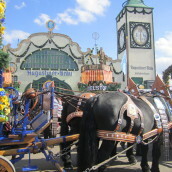 – the Wiesn will begin. We’re so excited we can barely sleep; and if you feel the same way and want the very latest information on this year’s Oktoberfest, stay with us and read on. No point getting annoyed about the steep prices. Last week, the six traditional Oktoberfest beers were presented in Munich. As ever, Augustiner, Hacker-Pschorr, Hofbräu, Löwenbräu, Paulaner, and Spaten will be on tap in the tents with their specially-brewed strong Märzen-style lagers. As in previous years, the breweries haven’t got any surprises in store – which is a decidedly good thing. Why change a winning formula, after all? As such, Augustiner is still the strongest (6.3%), Paulaner is still the fullest-flavoured and sweetest, and Löwenbräu is still the lightest and hoppiest. As the beer that is served in Schottenhamel and thus the subject of the ceremonial Tapping of the Keg, Spaten remains the yardstick. Ahhh, that freshly-baked bread smell! 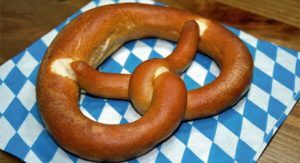 If for no other reason than tactical considerations, you should never drink a tankard without one of the delicious Oktoberferst snacks or meals. Without wishing to get distracted by a long list of delectables, we’re particularly looking forward to those legendary roast chickens, oven-baked hocks of ham, and Munich-style pork with crispy crackling, all accompanied by sun-yellow dumplings steaming away and pretzels still warm from the ov… Okay, sorry, we did get distracted there. In any case, if you’re an Oktoberfest fan, you’ll know about all of that already. Instead, let us give you an insider tip: head for the smaller tents around midday to enjoy lunch menus at around the €10 mark. Zur Bratwurst is doing (what else) brats with a pint of beer, while Fisch Bäda is serving up fishcakes and potato salad. Also, those of you who eat vegan, it’s now year four from the premiere of the first official vegan dishes at the Fest; this year, expect more variety than ever before. Oh, and let’s not forget that no animals are harmed in the brewing of beer and the ceremonial Tapping of the Keg! Disappointing but unavoidable: late-night Oktoberfest. 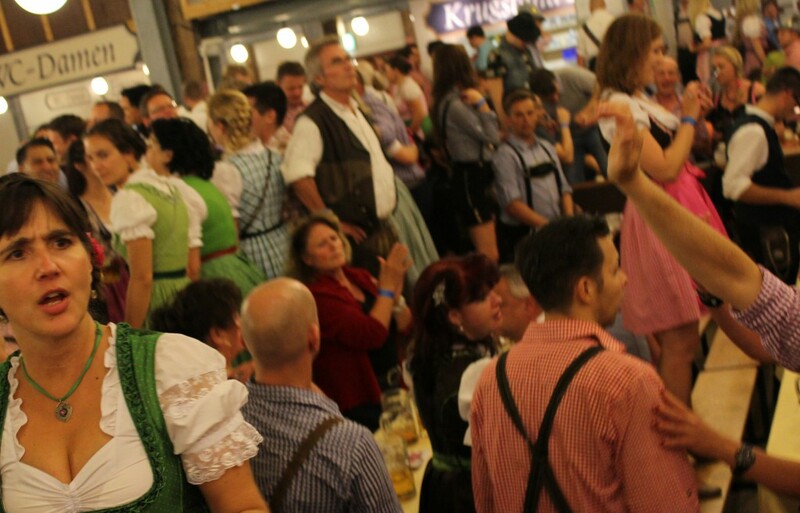 Want to stay bang up to date on the goings-on from this year’s Oktoberfest? Follow us on Twitter as we report live from Munich’s Theresienwiese.